The flow of information is pure raw power. Processing and managing data means developing creation, knowledge, and awareness of reality. Social Algorithms literally design the flow of information. They program realities. Through the Social Algorithms I sculpted information, a material that can be shaped to construct new structures of data, which demonstrate their ability to influence the social reality. For instance, in Face to Facebook, the structuring of data in new forms has affected a great number of people's behaviour, as well as legal and media fields. These sculptures of data can be created by anyone, just by following the diagrams of the Social Algorithms that I drew. These diagrams provide the instructions for activating social change through hacks of the present flow of reality. They are not malicious hacks, sabotaging viruses, speculative aesthetics, funny hoaxes, nor simple slogans - instead they want to bring about progress. They propose new realities by pragmatic instructions that run step by step. They are propositions for how to activate political evolutions, created by following the flowcharts of the diagrams. The reality flow must be re-processed and re-organized, society always needs new and better algorithms. 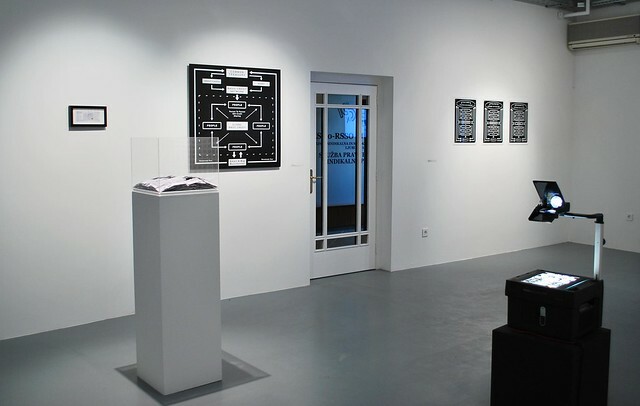 In the show REALITYFLOWHACKED, the Social Algorithms were materialized by active drawings, effective sculptures, and functional performances that were generated by the algorithms. Classic artistic practices such as drawing, sculpting and performing can finally exert an effective influence on social realities. However, this is not software-art, nor net-art. This is just our contemporary reality made of media and data. The diagrams of the Social Algorithms are blueprints for social software that, when launched in the operation system of our complex reality, start to interact with the tasks of the applications that govern and organize the construction of social realities. They are not just sketches, they can be implemented, some are running now, they really work. And their power to change reality is just a matter of the scale of their implementation. Here you can download the diagrams of the Social Algorithms. (Google Will Eat Itself, Amazon Noir and Face to Facebook). - One diagram of the Gift Finance. - Three diagrams of the triptych of Open Society Structures.